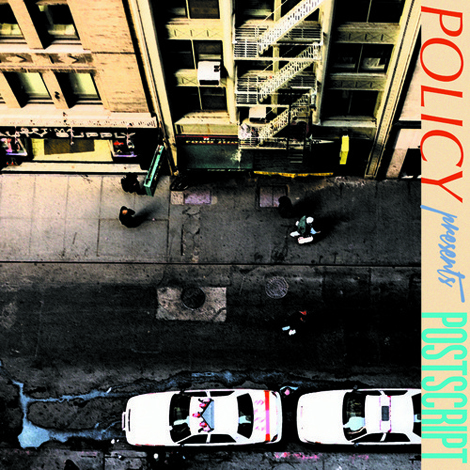 There’s a familiar richness in Policy’s “Grove Street Freeze,” one which carries over from his releases on Rush Hour and Argot. It’s a complexity that never gets tangled in its own abundance, a clear sense of which tones and timbres complement each other without being at all alike. Arriving an the NYC-based producer’s Postscript album, which will be released by 100% Silk on October 1st, the tune is reflective of the city it was written in and the street from which it takes it title. At first somewhat disjointed like the seemingly random movements of people, “Grove Street Freeze” comes into focus as the accented bass line plops atop chilly synth notes. The deeper we get the warmer the atmosphere becomes — a cheerful boogie that gets the blood going without eliciting too much sweat. LWE is grateful to 100% Silk and Policy for making “Grove Street Freeze” available as this week’s exclusive download.